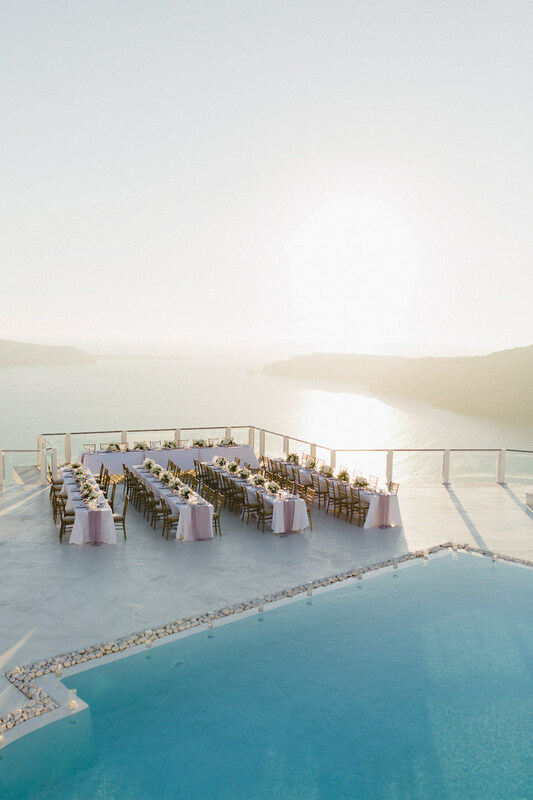 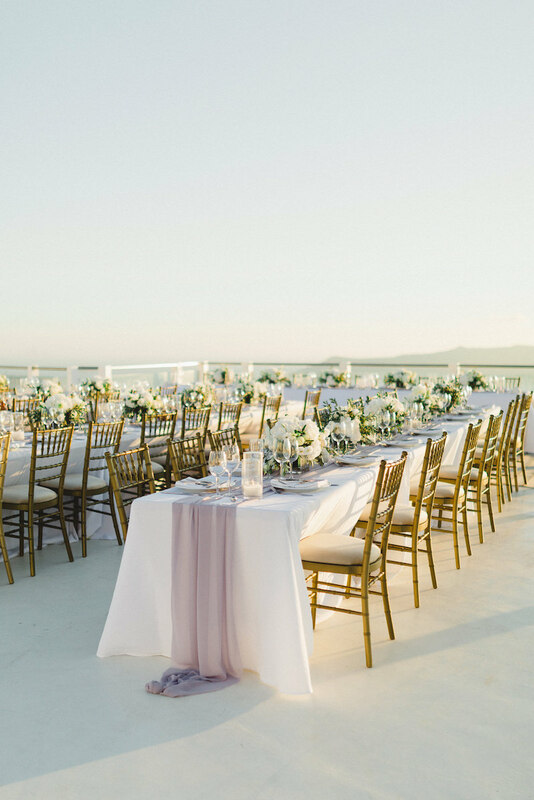 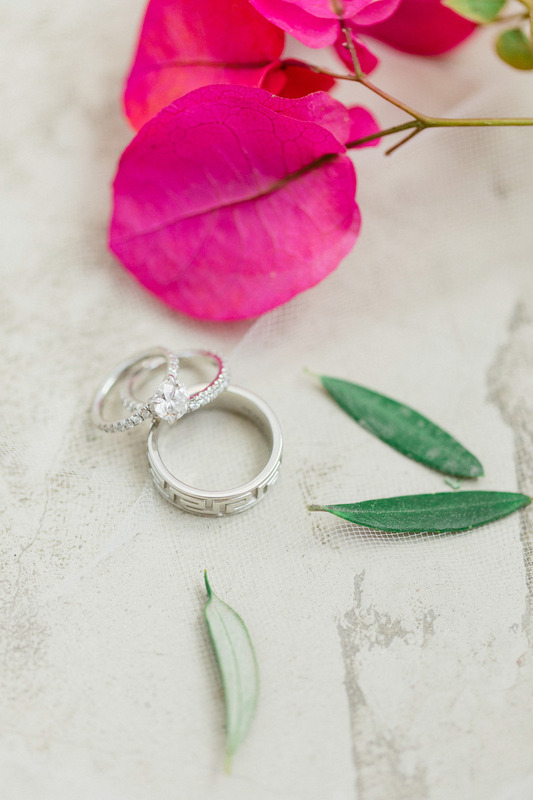 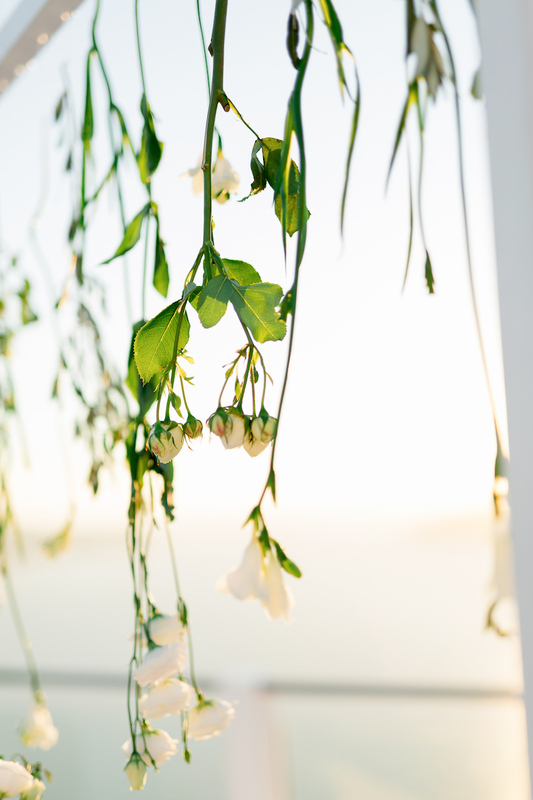 Anna Roussos Photography has graced our screens once more with another stunning island wedding with majestic views! 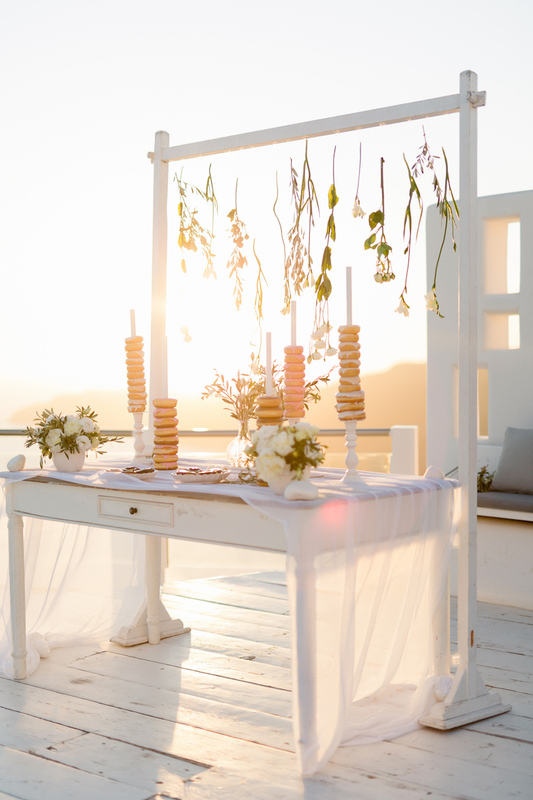 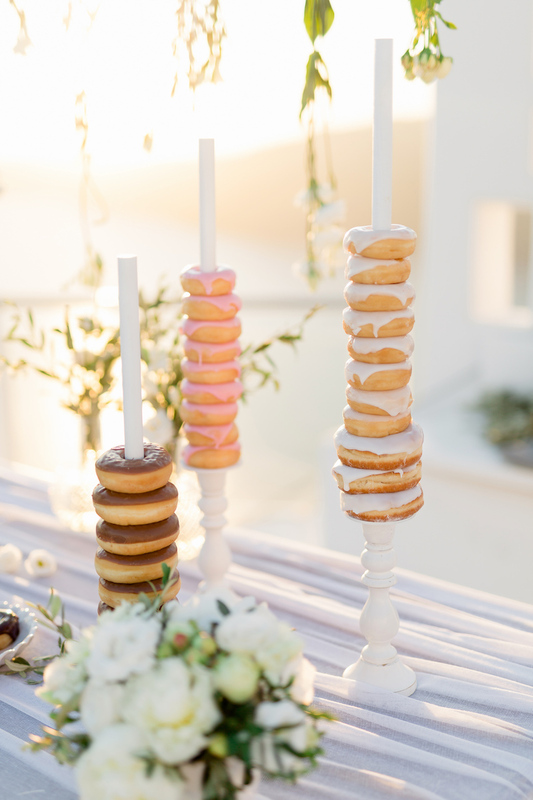 Planned by Stella and Moscha, the dreamy reception with an amazing donut display has us wishing we were at this elegant destination affair in Santorini. 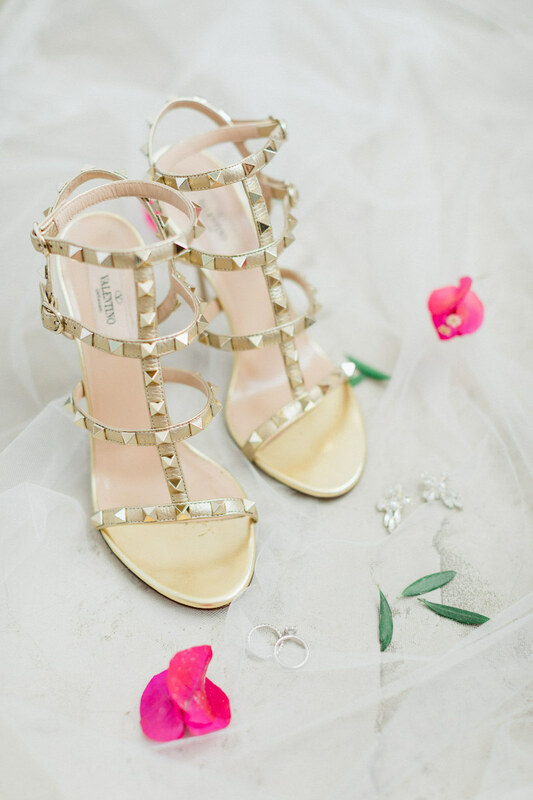 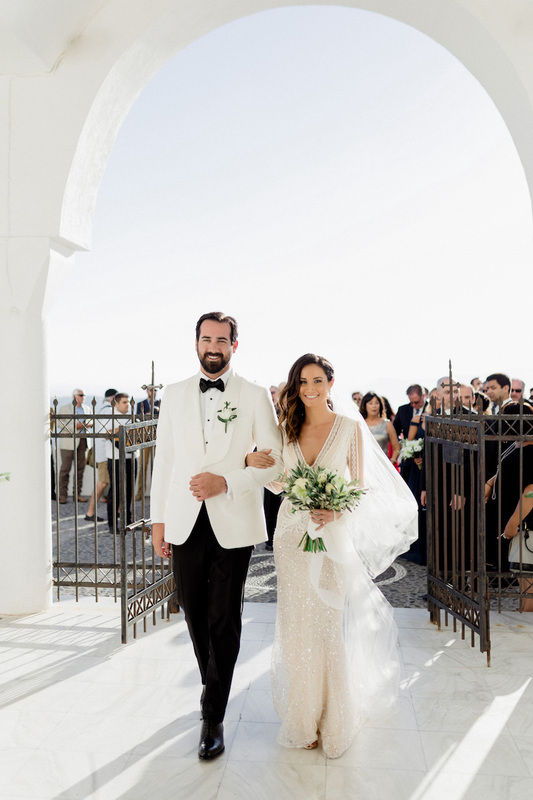 When the bride steps out in an effortlessly beautiful Inbal Dror gown and gold studded Valentinos, you know it’s going to be a magical day. 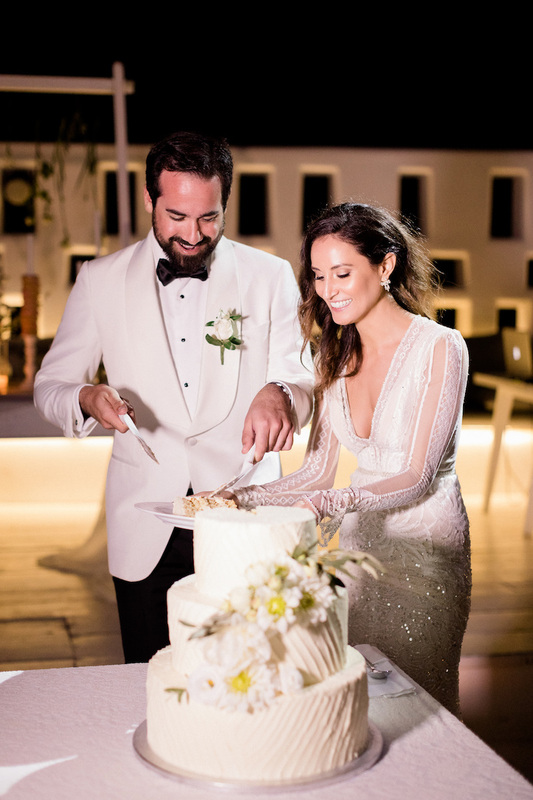 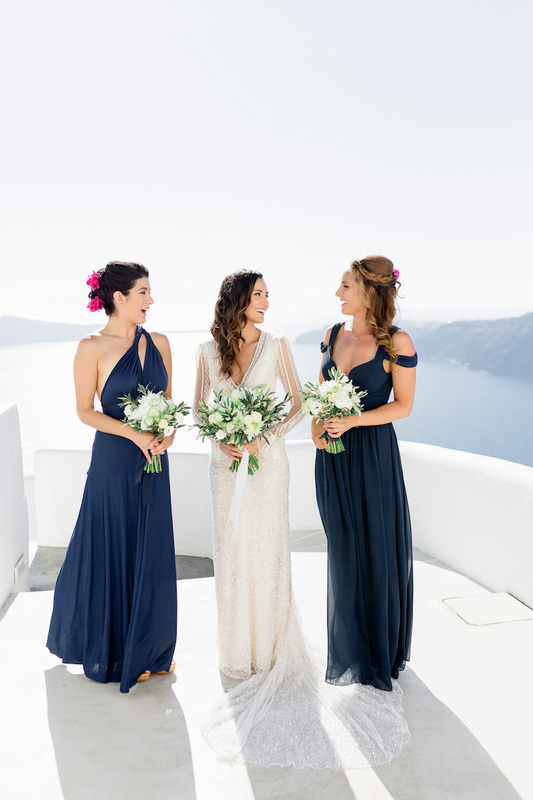 The bride and groom looked absolutely perfect in their breathtaking portraits overlooking the Aegean Sea, followed by a glamorous poolside reception at the Rocabella Hotel. 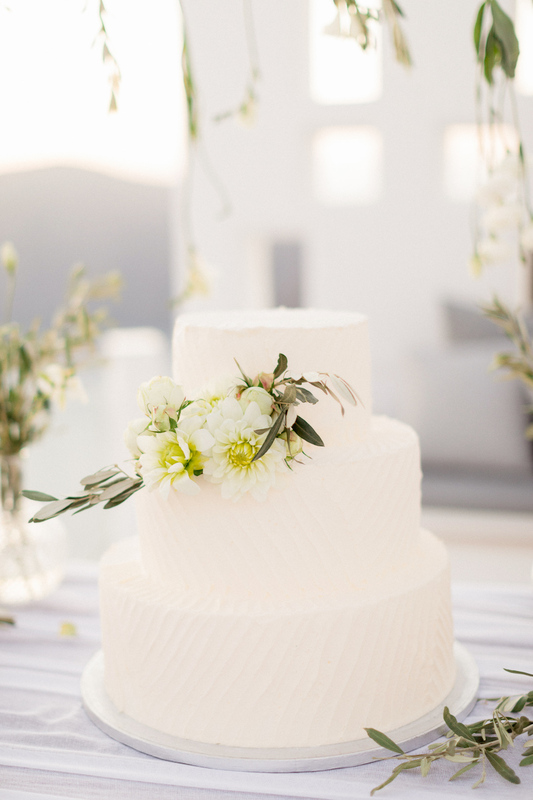 While we’re swooning over white floral and green centerpieces by Wedding Wish, we can’t help but draw attention to the one-of-a-kind desserts by Alexandra’s Cakes. 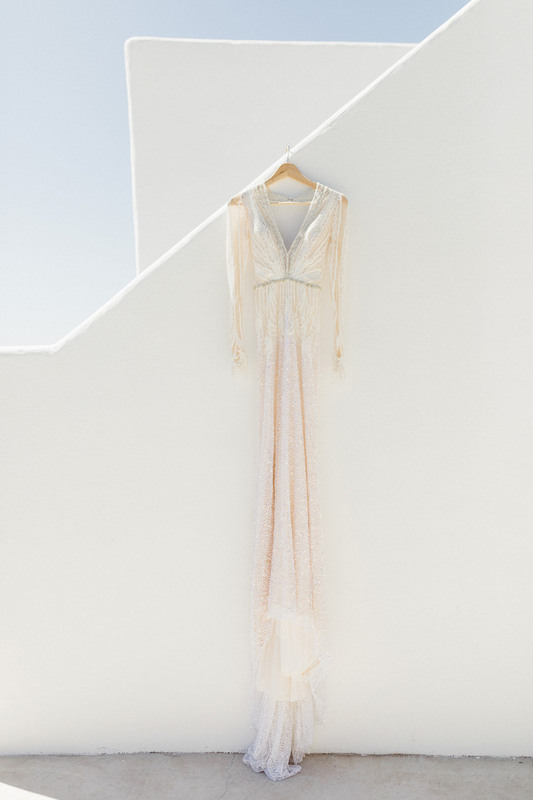 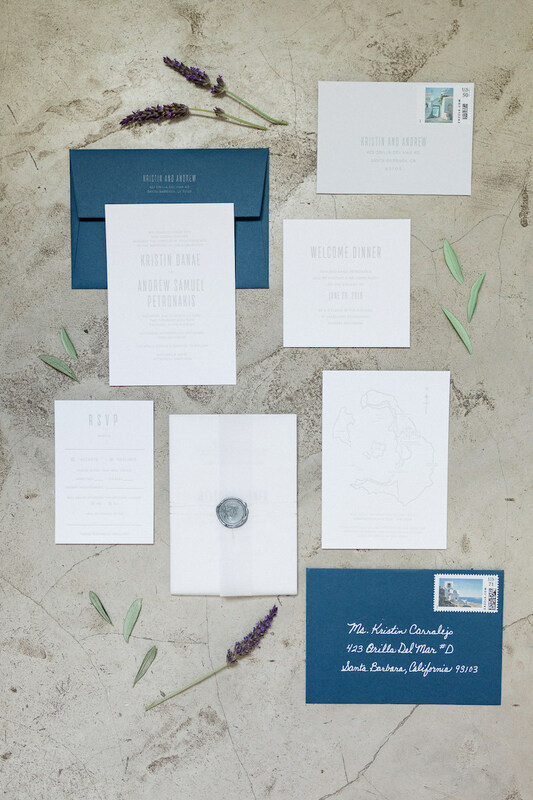 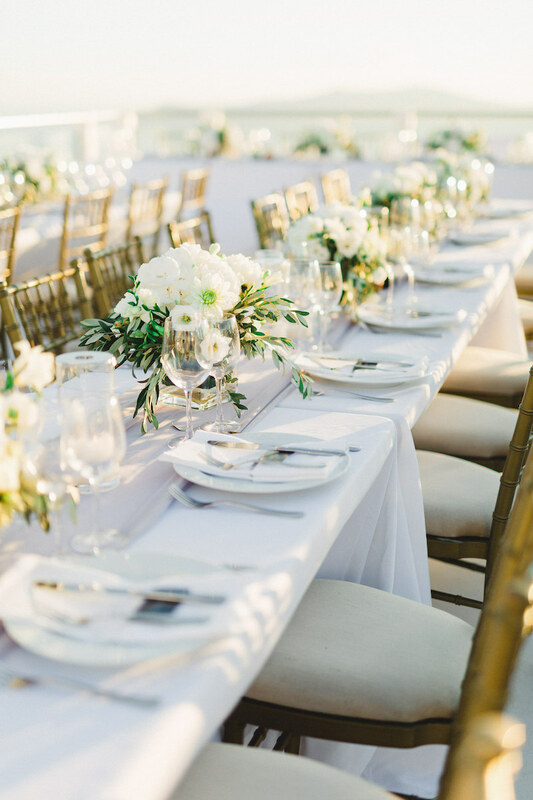 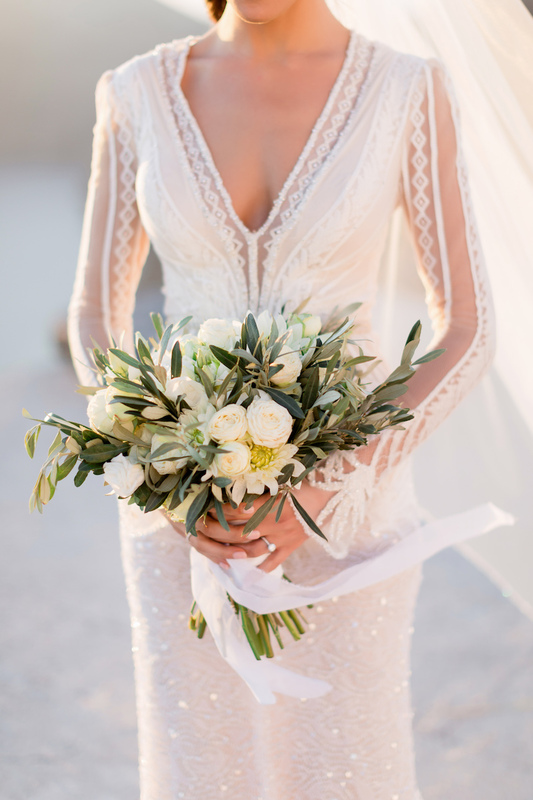 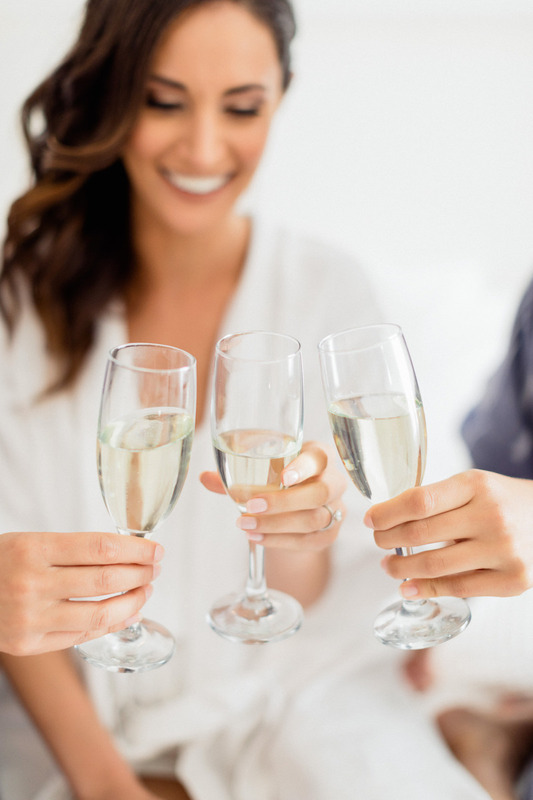 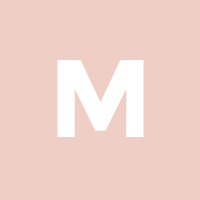 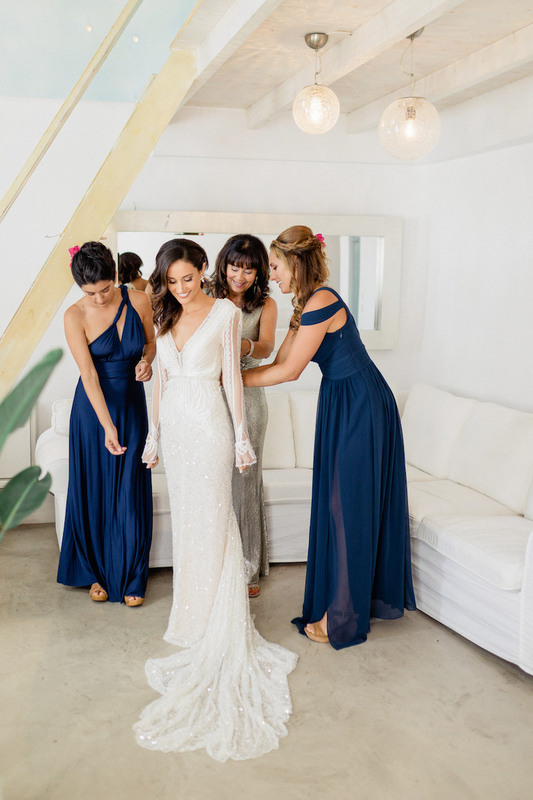 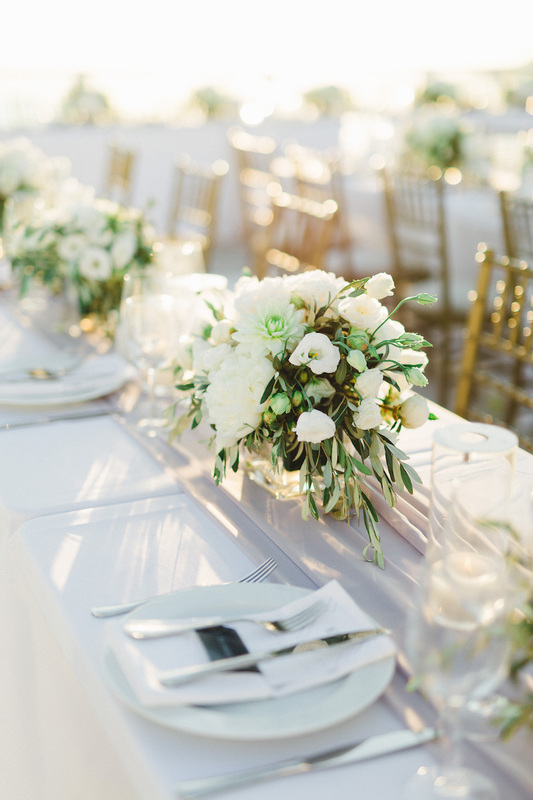 Get ready to fall in love with this Greek island wedding!